Difficult and failed tracheal intubation may be more common in the obstetrical population. The objective of this study was to determine the incidence of difficult and failed tracheal intubation in a Canadian tertiary care obstetric hospital and to identify predictors. Maternal, perinatal, and anesthetic information on all pregnant women or recently pregnant (up to three days postpartum) women undergoing general anesthesia (GA) from 1984 to 2003 at the Izaac Walton Killam Health Centre (IWK) was abstracted from the Nova Scotia Atlee Perinatal Database, and the information was augmented by chart review. The incidence and predictors of difficult and failed tracheal intubation were determined. Analyses using logistic regression were performed for the complete GA cohort and for the subgroup that had Cesarean delivery under GA. There were 102,587 deliveries of ≥20 weeks gestation in the study population, with 3,107 GAs identified, 2,986 records reviewed, and 2,633 GAs (88%) retained in the complete cohort. Difficult tracheal intubation was encountered in 123 of 2,633 (4.7%) women in the complete cohort and 60 of 1,052 (5.7%) women in the Cesarean delivery subgroup. Only two failed tracheal intubations were identified (0.08%) in the complete cohort, and both occurred during GAs for postpartum tubal ligation. The combined rate of difficult/failed tracheal intubation remained stable over the 20 years reviewed despite decreasing GA rates. Amongst the complete cohort, maternal age ≥35 yr, weight at delivery 90 to 99 kg, and absence of labour predicted increased risks; while weight at delivery 90 to 99 kg and absence of labour amongst the Cesarean delivery subgroup predicted difficult/failed tracheal intubation. Previously accepted risk factors, such as labour, pre-existing medical conditions and obstetrical disorders, did not predict an increased risk of difficult tracheal intubation, while maternal age ≥35 yr, weight 90 to 99 kg, and absence of active labour were found to predict increased risk. This article is accompanied by an editorial. Please see Can J Anesth 2011; 58:6. Une intubation trachéale difficile et l’échec de celle-ci pourraient être plus courants chez la population obstétricale. L’objectif de cette étude était de déterminer l’incidence d’intubations trachéales difficiles et échouées dans un hôpital d’obstétrique tertiaire canadien et d’identifier des prédicteurs possibles. Les données maternelles, périnatales et anesthésiques sur toutes les femmes enceintes ou ayant récemment accouché (jusqu’à trois jours post-partum) ayant subi une anesthésie générale (AG) entre 1984 et 2003 au Centre de santé Izaac Walton Killam (IWK) ont été récoltées de la Banque de données périnatales Atlee de Nouvelle-Écosse (Nova Scotia Atlee Perinatal Database), et complétées par la consultation des dossiers des patientes. L’incidence et les prédicteurs d’intubation trachéale difficile ou échouée ont été déterminés. Des analyses ont été réalisées à l’aide de la méthode de régression logistique pour la cohorte d’AG dans son ensemble et pour le sous-groupe de patientes ayant accouché par césarienne sous AG. Au total, il y a eu 102 587 accouchements à ≥ 20 semaines de grossesse dans la population à l’étude, 3 107 AG identifiées, 2 986 dossiers passés en revue dont 2 633 (88 %) ont été retenus dans la cohorte complète. L’intubation trachéale a été difficile chez 123 des 2 633 (4,7 %) femmes de la cohorte complète et 60 des 1 052 (5,7 %) femmes dans le sous-groupe accouchement par césarienne. Seulement deux échecs d’intubation ont été identifiés (0,08 %) dans la cohorte complète, et les deux cas sont survenus lors d’AG pour des ligatures tubaires en post-partum. L’incidence combinée d’intubation trachéale difficile/échouée est demeurée stable au cours des 20 années passées en revue, malgré la réduction du taux d’AG. Dans la cohorte complète, un âge maternel ≥ 35 ans, un poids à l’accouchement de 90 à 99 kg et l’absence de travail obstétrical étaient des prédicteurs de risque; en revanche, un poids à l’accouchement de 90 à 99 kg et l’absence de travail obstétrical dans le sous-groupe accouchement par césarienne prédisaient une intubation trachéale difficile/échouée. Les facteurs de risque précédemment acceptés, tels que le travail obstétrical, des conditions médicales préexistantes et les troubles obstétricaux, n’ont pas prédit un risque accru d’intubation trachéale difficile, alors qu’il a été observé qu’un âge maternel ≥ 35 ans, un poids de 90 à 99 kg et l’absence de travail obstétrical actif prédisaient un risque accru. Primary and repeat Cesarean delivery (CD) rates are increasing as a result of changing maternal characteristics and increased obstetrical interventions.24 , 25 With this trend, the development and maintenance of airway management skills in parturients becomes increasingly important. We utilized comprehensive maternal and perinatal information from a large validated population-based database to determine incidence rates of difficult and failed intubation at our institution over 20 years and to assess whether these rates have changed over time. Additionally, corresponding maternal, obstetrical, and anesthetic predictive factors were abstracted and analyzed from our obstetrical population.26 , 27 We hypothesized that rates of difficult and failed intubation in our obstetric population are low and similar to that of the general surgical population. Nova Scotia has a homogeneous, predominantly Caucasian population of approximately one million, with approximately 10,000 live births in Nova Scotia each year. This study focused on deliveries at the IWK Health Centre, which has 4,500 to 5,000 deliveries per year.28 , 29 The IWK Health Centre is a tertiary “stand alone” maternity facility that provides obstetric and pediatric services. The population of Nova Scotia is covered by a universal health service and the IWK has in-house consultant obstetric and obstetric anesthesia coverage that is available on a 24-hr basis. All anesthesia and obstetrical services at the IWK are performed by consultants or by resident physicians under their direct supervision. The NSAPD was used to identify the study population of all women (≥20 weeks gestational age) who delivered at the IWK Health Centre from 1984 to 2003. Included within the study population were women requiring GA while pregnant (≥20 weeks gestational age) or recently pregnant (up to three days postpartum) during their birth-related admission. Miscarriages and GAs administered to women who did not deliver were not included in this study population. Maternal information obtained from the NSAPD included age, parity, pre-pregnancy and delivery weight, maternal medical disorders (i.e., pre-existing cardiac, hypertension, respiratory, gastrointestinal, renal, neurologic, hematologic, diabetes, and neoplastic disorders), obstetric conditions (i.e., gestational hypertension or gestational diabetes), oxytocin use (i.e., for induction or augmentation of labour), active labour diagnosis (any time prior to GA), and mode of delivery. Maternal, obstetrical, and anesthetic data obtained from the NSAPD were augmented using data extracted from medical records specific to the administration of GA. Only those women with attempted tracheal intubation during the GA were included in the complete cohort. Information obtained from the medical records included documentation of preoperative airway assessment, induction drugs administered, airway equipment used, and ease and success of attempted endotracheal intubation. Detailed information was also collected on time of day the GA was administered, temporal relationship of GA administration with obstetrical delivery, and the occurrence of failed regional anesthesia (epidural, spinal, or both) or conversion of regional anesthesia to GA for non-regional failure reasons. Difficult intubation was defined using accepted published definitions and expert consensus (Table 1).30 The difficult intubation label did not distinguish difficult laryngoscopy from difficult intubation, nor did it include the assessment of difficult bag-mask ventilation or the need for supraglottic devices prior to intubation. Failed intubation was defined as unsuccessful attempts at placement of an endotracheal tube into the trachea using either direct laryngoscopy or alternative intubating equipment, the need to proceed with surgery with a non-elective unsecured airway (e.g., bag-mask ventilation or laryngeal mask airway), or the need to abort intubation or surgery and awaken the woman prior to surgery. e. oxygen saturation < 85% lasting > five minutes at induction. Neuraxial anesthesia prior to GA induction was defined as either an attempt to administer local anesthetic drugs through a pre-existing “in situ” epidural catheter or an attempted “de novo” neuraxial anesthesia technique. A “failed” neuraxial technique was defined as GA induction after a local anesthetic drug was given through an in-situ catheter or after a de novo neuraxial block was attempted. In women with a pre-existing catheter where no local anesthetic drug was used (i.e., due to hemodynamic or time constraints), a “conversion to GA” for non-failure reasons was considered to have occurred. Each unique pregnancy contributed one observation in the study. Since the sample included multiparous women, logistic regression employed the method of general estimating equations that generated standard errors that accounted for the non-independence of separate pregnancies to the same woman. Univariate odds ratios and 95% confidence intervals (CI) were initially calculated for each potential maternal, obstetrical, or anesthetic factor, followed by logistic regression to determine a model with a set of independent predictive factors for risk of difficult intubation that were felt to be biologically plausible. Analyses were performed for the complete cohort and then by mode of delivery, i.e., CD/vaginal delivery. Additional risk factor analysis for difficult/failed intubation was conducted based on gestational age, time of day, attempt to use regional anesthesia prior to GA induction, and time of GA administration relative to obstetric delivery time (i.e., induction prior to delivery of the neonate or after delivery of the neonate). Trend analyses were employed to evaluate rates of difficult/failed intubation in obstetric patients over the 20-yr study duration using four five-year epochs (1984 to 1988, 1989 to 1993, 1994 to 1998, and 1999 to 2003) using Chi square for trend. Significance was set at P < 0.05. All analyses were conducted with SAS® Version 8.2 software (SAS Institute, Inc., Cary, NC, USA) and Epi Info™ 3.3.2 (CDC, Atlanta, GA, USA). From 1984 to 2003, there were 102,587 deliveries ≥20 weeks gestational age at the IWK Health Centre (Figure). During this 20-yr period, 3,107 (3.0%) of these women required GA during their birth-related admission to the IWK Health Centre. There were 2,986 (96.1%) medical charts available for review. Excluded from analysis were 353 women in whom tracheal intubation was not attempted: 254 GAs with elective bag-mask airway management (the majority of these were postpartum tubal ligation); 88 women with conscious sedation (the majority for manual removal of placenta and/or postpartum examination under anesthesia); and 11 women where no anesthetic record could be located in the medical chart. The complete cohort consisted of 2,633 GAs meeting the inclusion criteria, with 1,052 of these for CD. In the complete cohort, difficult intubation was identified in 123 women (4.7%; 95% CI, 3.91% to 5.52%), while two women (0.08%; 95% CI, 0.01% to 0.25%) had failed intubation. Within the CD cohort, difficult intubation was encountered 60 times (5.7%; 95% CI, 4.42% to 7.23%) and there was no failed intubation. With respect to timing of GA administration relative to neonatal delivery, 1,005 GAs were specifically administered for delivery (three GAs for non-obstetric surgery prior to subsequent CD); difficult intubation was experienced in 55 (5.5%; 95% CI, 4.19% to 7.01%). Forty-four GAs were administered after operative delivery of the neonate (23 GAs within two hours following delivery and 21GAs > two hours after delivery); in these 44 cases, five cases (11.4%; 95% CI, 4.3% to 23.4%) were found to have a difficult intubation. There were 1,581 women who had vaginal delivery; in 1,492 of these women, GA was administered after delivery of the neonate, with 63/2 (4.2%, 95% CI, 3.29% to 5.34%) difficult/failed intubations identified. The two failed intubations occurred for postpartum tubal ligation surgery. No women were identified with difficult or failed intubation amongst the 24 patients who had antepartum GAs. American Society of Anesthesiologists’ physical status was assigned in 1,406 of 2,633 (53.4%) anesthesia records. Preoperative airway evaluation was documented in 442 of 2,633 (16.8%), and the application of cricoid pressure was documented in 2,113 of 2,633 (80.3%). Neuromuscular blocking agents used for intubation were documented in 99.4% of records, with succinylcholine used in 98.5%. Documentation of the primary intubation equipment was found in <3% of records, and use of an endotracheal tube stylet was documented in 4.3%. Of the 123 women in whom difficult intubation was identified, difficulty was anticipated in 11 (8.9%), and an elective awake intubation was performed. Ninety of 123 (73.2%) instances of difficult intubation were explicitly identified by written documentation, i.e., “intubation and/or laryngoscopy difficult” on the anesthetic record; in another five (4.1%), laryngoscopy was documented as Cormack-Lehane Grade 3 or greater. Thirty-eight of 123 (30.9%) women had one or more surrogate markers of difficult intubation noted on the anesthetic record (total > 100%, as some women were labelled by multiple identifiers). Of the two failed intubations, both had preoperative airway evaluations documented; one noted “prominent overbite”, while the second was assessed “good airway”. Significant changing trends in maternal demographics and in obstetric and anesthesia practice patterns occurred during the study period (Table 2). The proportion of women receiving regional anesthesia increased from 46.1% (1984 to 1988) to 79.4% (1999 to 2003) (P < 0.001), while the proportion of women receiving GA decreased from 5.2% (1984 to 1988) to 1.0% (1999 to 2003) (P < 0.001). The majority of women did not have de novo regional anesthesia attempted prior to induction of GA (89.7% in the complete cohort and 83.8% in the CD cohort). Rates of difficult/failed intubation remained stable throughout the study period for both the complete cohort (4.5% in 1984 to 1988 to 4.0% in 1999 to 2003; P = 0.78) and the CD cohort (5.0% in 1984 to 1988 to 4.0% in 1999 to 2003; P = 0.5) Three maternal deaths were identified during the study period (2.9 per 100,000 deliveries), which was similar to published Canadian maternal mortality rates (<5 per 100,000 live births) in the 1990s.31 Causes of death were venous thromboemboli, intracranial hemorrhage, and obstetric bleed, respectively, and no death was considered anesthesia-related or due to airway difficulties. Table 3 summarizes the univariate comparisons of clinically relevant maternal, obstetrical, and anesthetic factors and their contributions to the multivariate model. Difficult or failed intubation was 2.02 times more likely (95% CI, 1.19 to 3.42) in women aged ≥35 yr than in women aged 30 to 34 yr; 2.19 times more likely (95% CI, 1.16 to 4.08) in women with a weight at delivery of 90 to 99 kg compared with those weighing <80 kg; and 50% less likely (95% CI, 0.33 to 0.76) in women who experienced active labour at any time prior to GA compared with women without labour. There were no statistical differences observed for other categories of maternal age and maternal weight at delivery or for the other potential predictive factors. The majority of the GAs (66.4%) administered to the complete cohort occurred during the daytime (0800 to 1559). The same factors were identified in the multivariate analysis (Table 3). When the CD cohort is considered, weight of 90 to 99 kg was also identified as a risk factor for difficult/failed intubation and active labour decreased the risk, but age was not retained as a significant risk factor (Table 4) either on univariate or multivariate analysis. No other significant predictive factors were demonstrated. The majority of the GAs (56.7%) administered to the CD cohort occurred during the evening and night times (1559 to 0800). Table 5 summarizes risk factor analysis for difficult intubation/failed intubation and considers the temporal relationship of time of GA administration relative to delivery of the neonate and mode of delivery (vaginal or Cesarean). Risk of difficult intubation appeared to be 2.9 times more likely (OR 95% CI 1.00–8.14 P = 0.04) if performed after Cesarean neonatal delivery. This large Canadian cohort study is unique in that it allowed a comprehensive evaluation of clinically relevant predictive factors in the assessment of rates and risk for difficult and failed intubation in pregnant women and in the immediate postpartum period. This review considered high- and low-risk obstetrical patients, GAs administered for any surgical indication, and GAs administered during the last 20 weeks of gestation and early postpartum periods; it also considered the impact of obstetric management (oxytocin/labour) and delivery mode. As hypothesized, this current study supports the assertion that, with current obstetrical and anesthesia management, the rates of difficult and failed intubation (4.7% and 0.08%, respectively) in our obstetric population are stable, and they are similar to those of the general surgical population. These low rates are consistent with recent publications by Djabatey et al. and Goldszmidt.18 , 23 In a UK audit from 2000 to 2007, Djabatey et al. concluded that low rates of difficult (0.7%) and failed (0%) intubation were due to their institutional policy of liberal GA administration and maintenance of obstetric anesthesia airway skills. This current study with declining GA rates yet stable difficult intubation rates does not support this assertion. The 2005 systematic review of obstetric airway publications by Goldszmidt demonstrated no difference in the occurrence of difficult (1% to 6%) or failed (0% to 0.7%) intubations in the obstetric population compared with general surgical populations. Goldszmidt concluded that previously published obstetric airway studies that found increased rates of obstetric airway difficulties might in fact be reflective of anatomic abnormalities unrelated to pregnancy, lack of preoperative airway assessment, or differences in operator expertise rather than reflective of true anatomic airway changes in the obstetric population. The low and stable rates of difficult/failed intubation observed in this study may be attributed to selection bias and the tertiary status of this institute. The high rate of epidural usage at the IWK Health Centre (67.3% compared with Canadian national average 43.4%) for all deliveries may contribute to low rates of difficult intubation.35 Epidural labour analgesia is converted fairly easily to surgical anesthesia, thus avoiding airway manipulation and allowing for high rates of non-urgent airway assessment, which is part of routine anesthesia evaluation during neuraxial placement. The IWK Health Centre has a multidisciplinary approach to the care of the pregnant patient, with early identification of women with significant co-morbidities and consultation to obstetric anesthesiology. Timely early antenatal anesthesiology consultation plus referral of high-risk pregnancies and obese women for early intrapartum placement of neuraxial anesthesia may further contribute to the low rates observed. While weight of 90 to 99 kg was found to be predictive, we did not find that weight categories >99 kg predicted an increased risk of difficult intubation. This may be explained by the small numbers in these categories or by the potential for differences in clinical care, i.e., early epidurals for those women in higher weight categories. Supporting this assertion, we found that there is a statistically significant trend toward increased likelihood of having neuraxial anesthesia with increasing weight at delivery (P < 0.001). Increasing Mallampati scores with advancing gestation have been reported during labour and after delivery.4 , 5 However, using a broad range of gestational ages, we were unable to establish advancing gestational age as a predictor for difficult intubation. We found that the absence rather than the presence of active labour was predictive of difficult intubation. As high-risk pregnancies are more likely to require CD without labour, often for emergent indications, this finding may be related to the tertiary status of the IWK Health Centre. Indications for CD amongst women who did not experience labour in this study included placenta previa (16.0%), fetal distress (11.4%), abruptio placenta (11.0%), hypertensive diseases (9.1%), and other maternal disease (7.0%). 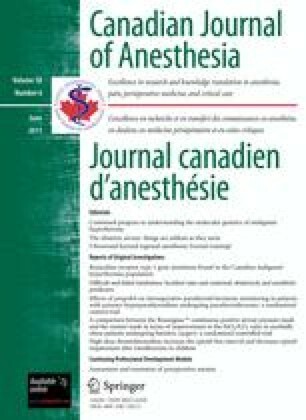 The findings of this study may be most relevant to institutions with similar physician and health care resources.6 , 9 The IWK Health Centre provides 24-hr in-house consultant obstetric anesthesia coverage with no other surgical service commitments, with additional anesthesia trainee coverage on 25% of nights. The IWK Health Centre does not provide routine non-obstetric adult emergency services, so pregnant women presenting for care for non-obstetric emergencies (i.e., trauma) requiring GA were not included in our study population unless they were transferred to our centre for postoperative monitoring and underwent subsequent delivery. Some studies have attributed increased rates of difficult intubation in the obstetric population to the provision of anesthesia services at night.6 , 7 This study did not find that time of day was predictive for increased risk of airway difficulties in either of the cohorts. The two failed intubations found in the current study were after vaginal delivery during postpartum tubal ligation. A 2.9 fold increase risk of difficult intubation was observed when GA was administered after operative cesarean delivery of the neonate. Studies have shown important anesthesia airway-related morbidity and mortality in pregnant women during GA emergence and recovery periods.11 , 37 These findings, in addition to the current study findings, suggest that further education and research is needed to address airway risk and GA-related morbidly in the postpartum period. In this study, rates of difficult or failed intubation are low and do not appear to be higher than those reported in the general surgical population, and previously accepted risk factors did not predict an increased risk. New maternal and obstetrical factors associated with difficult intubation/failed intubation may not be easily modifiable but may be used to identify women at increased risk, particularly those who may be at high risk for operative delivery or those women needing operative intervention in the postpartum period, particularly after CD. Early antenatal and intrapartum identification and consultation for anesthesia intervention (including non-urgent airway assessment and early neuraxial placement) and perioperative training of delivery unit support staff (including resources for airway management) remain important clinical care considerations. The authors would like to thank Dalhousie Medical Research Foundation and the IWK Research Services for their support, as well as IWK Health Records for their efforts to locate 3000 electronic and paper charts, many stored off site. Dalhousie University Medical Research Foundation Summer Research Studentship Funding; IWK Heath Centre Summer Research Studentship Funding; Canadian Institutes of Health Research New Investigator Award; Dalhousie University Clinical Research Scholar Award. Statistics Canada. 2007. Halifax, Nova Scotia (Code1209034) (table). 2006 Community Profiles. 2006 Census. Statistics Canada Catalogue no. 92-591-XWE. Ottawa. Released March 13, 2007. Available from URL: http://www12.statcan.ca/census-recensement/2006/dp-pd/prof/92-591/index.cfm?Lang=E (accessed March 2011). Canadian Perinatal Health Report 2008 Edition. - References national published maternal death rates found in figure 15.1. Available from URL: http://www.publichealth.gc.ca/cphr/ (accessed March 2011). Ottawa CIHI. Canadian Institute for Health Information, Giving Birth in Canada: A Regional Profile (Ottawa: CIHI, 2004). Available from URL: http://secure.cihi.ca/cihiweb/products/GBC2004_regional_e.pdf. 2004: 83 (accessed February 2011).